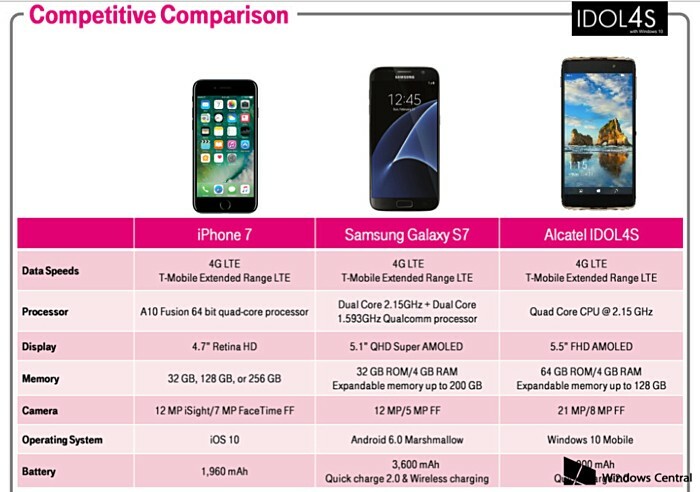 A T-Mobile training guide for the Windows 10-powered Alcatel Idol 4S has leaked online, suggesting an imminent launch. The leak not only confirms some of the device’s key specs, but also compares the phone with the iPhone 7 and Galaxy S7. Aside from this, the leaked guide also reveals that the a free VR headset will be included with the handset – something we already know. 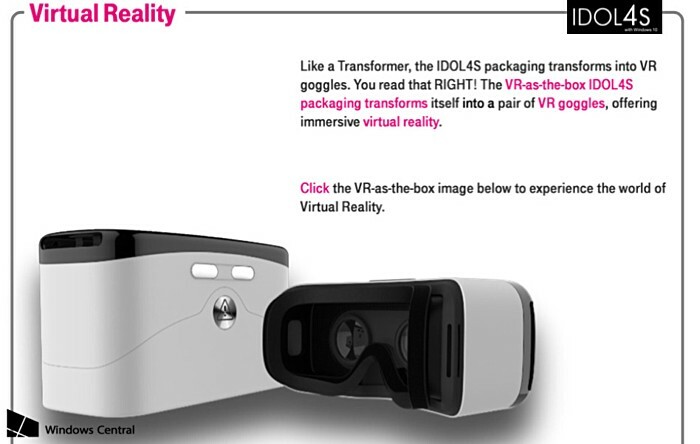 In fact, the phone will have a VR-as-the-box kind of packaging, meaning the packaging for the Idol 4S will transform into VR goggles. There is currently no information on exactly when the device will be made official and what price tag it would carry.